Whether as a preventive measure or to facilitate treatment, diagnosis forms the cornerstone of every medical procedure. Situated on the seventh floor of Lanka Hospitals, Lanka Hospitals Diagnostics (LHD) sets the record of being Sri Lanka’s first-ever medical reference laboratory. Equipped with the best ultramodern medical equipment, LHD explicitly fulfils the growing need for the most accurate and reliable medical testing procedures. A fully owned subsidiary of Lanka Hospitals Corporation PLC, LHD now showcases a portfolio of over 1,100 lab assessments, including a large number of exclusive tests currently not available elsewhere in the country. 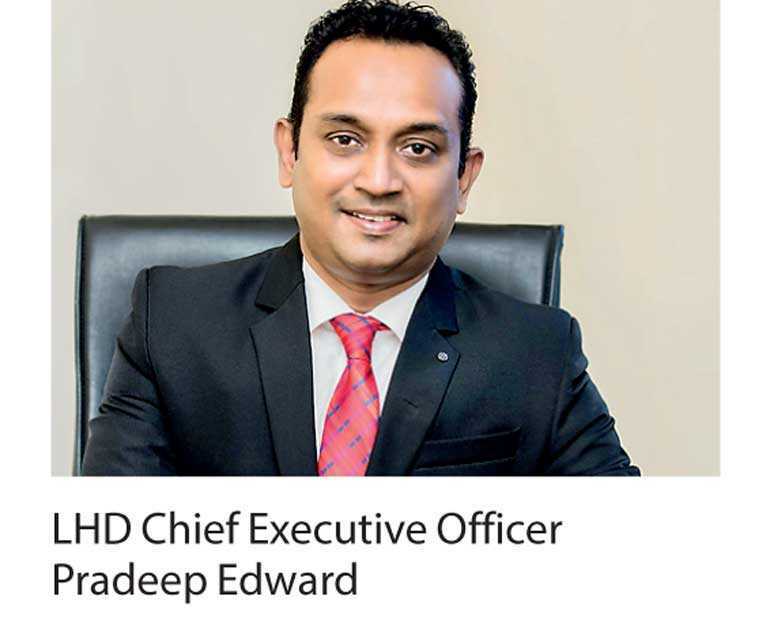 “The vacuum that existed in the market for internationally accredited reference laboratory testing was evident when Sri Lankans travel overseas to get their tests done, spending large sums of money,” stated LHD Chief Executive Officer Pradeep Edward. “Upon its launch in 2014, LHD was foremost in identifying the need to have high quality diagnostics in this country. Apart from tens of thousands of locals who patronize our services, we see a multitude of foreign patients especially from the Maldives and Seychelles along with expats who now frequent our Lab services,” he added. The resounding success of LHD is also attributed to its global accreditation standards. LHD set the benchmark for supreme quality by stepping up to the gold standards of the laboratory accreditation program certified by the College of American Pathologists (CAP). This international accreditation has given LHD its prestigious standing as the only CAP-accredited laboratory in the country. A comprehensive quality management procedure with a regular proficiency testing (PT) program spanning over a six-month period was advocated within LHD by CAP prior to granting the said accreditation in 2017. The process involved the most scientifically customised checklist, inclusive of regular testing of samples for the entire range of patient diagnostics. Furthermore, the layout of the laboratory, quality of equipment, reagents, qualification of staff were extensively monitored along with all documentation and processes. “With CAP accreditation, LHD has experienced a leap in Turnaround Time (TAT) with higher accuracy in test results; a process which is also made viable due to our high standards of technology and machinery made to meet European and CAP benchmarks,” Edward reiterated. LHD aims to further strengthen their standards with the in-house dedicated quality control and safety teams, formed as per CAP regulations. LHD also participates in the local accreditation program conducted by the Sri Lanka Accreditation Board (SLAB) on an annual basis. Being the only laboratory in the country with full-time consultants, LHD also leads in online report generation, which sends SMS alerts to the customer to view the completed report online by logging into the LHD website. In order to serve the Sri Lankan population better, LHD opened up regional laboratories in Kandy, Wellawatte and Negombo. With several more regional and mini labs in the pipeline, LHD has also spread its wings offshore to Seychelles, with plans underway to expand to the Maldives in the near future. Taking the future of medical advancement by full force, LHD continues to invest in dedicated units for R&D, technology and machinery with regular overseas training programs for staff, in line with CAP regulations. With many firsts to its name complemented by the gold standards of accreditation, LHD is in the unstoppable process in rising to the ranks of the best laboratories in the world.